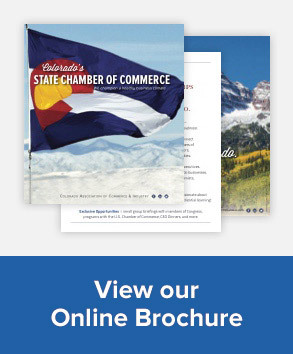 The EXECs Advocacy Program is a 9-month program that offers exclusive insight into the workings of prominent Colorado companies through business tours and policy-based forums with key Colorado executives and officials. Participants learn about policy issues impacting their business and community while developing a working understanding of business advocacy. Tours will be fascinating “insider” looks at businesses while integrating policy issues focused around Healthcare, Labor & Employment, Tax, Energy & Environment, Manufacturing, and Federal Affairs. 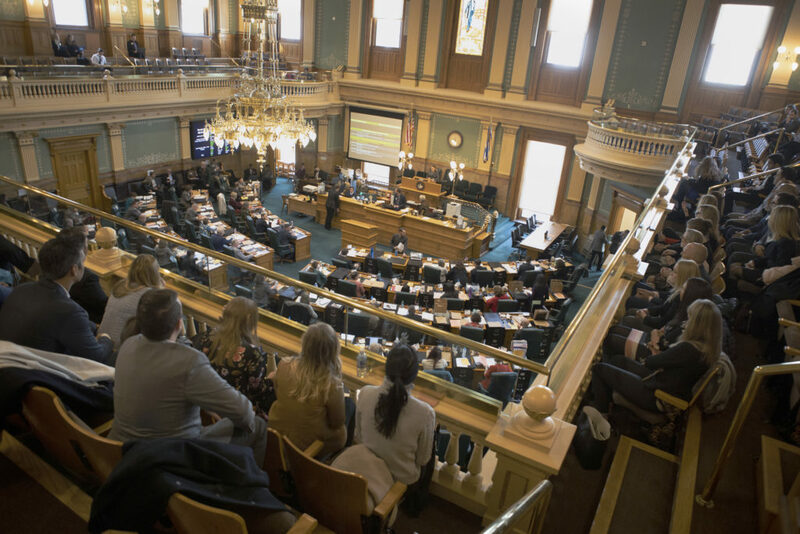 The Colorado Chamber staffers, key legislators, and congressional staffers may be brought in for specific expertise. Rising leaders who are passionate about shaping and enhancing Colorado’s economy and strengthening Colorado’s business climate. Candidates should have 5+ years of experience in their field. $2500 per person includes all required program materials, travel, food, and beverages. Class fees are non-refundable and non-transferable. Programs range from half day to full day commitments. The 2019 program is currently underway. The link is currently open for the 2020 program. The program runs from February through October. Participants meet once per month with optional networking opportunities available. The 2019 EXECs Advocacy Program kicked off the new year with a fun and interactive icebreaker followed by a festive happy hour. Program attendees worked together in small groups scouring downtown Denver for answers to a set of questions. This fun and interactive event provided an rich networking environment where participants were able to work together and forge strong bonds in a more intimate environment. 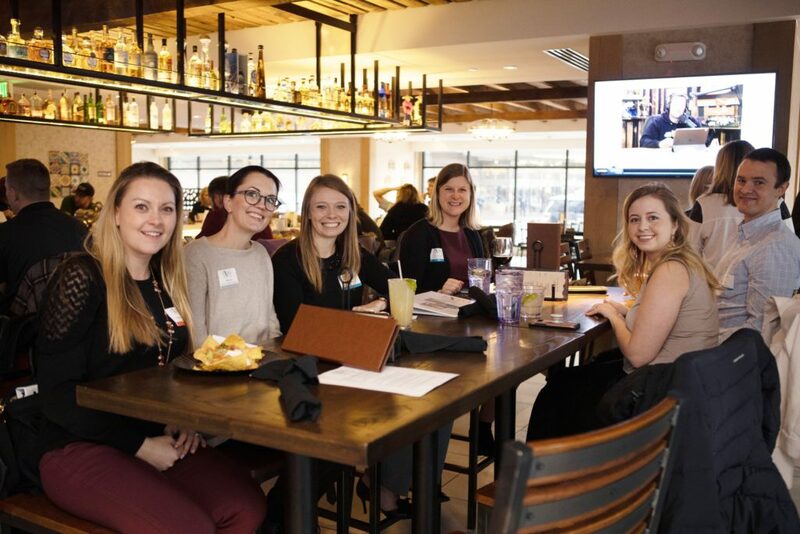 The event concluded with a great downtown happy hour where all of the 2019 EXECs came together to network and discuss the program in more details with EXECs Alumni. The session is in! The EXECs program made the short walk to the Capitol building for the March tour. The group took time to observe legislators in action from the House of Representatives Gallery. The group commented on their observations of the house dynamics, how the legislators interacted, and the manner in which they conducted business. Additionally, the EXECs hiked the 94 steps to the Capitol’s dome to take in the beautiful mountain view and learned about the construction of Capitol building on a guided tour of Mr. Brown’s attic. Immediately following the tour, the group met with Joe Rice, Director of Government Relations for Lockheed Martin Space. Joe, drawing from his legislative and mayoral experiences, guided the group through the state government structure, discussed lobbying and how everyone must be cognizant of how they are representing their company, and encouraged all the EXECs to be engaged in the political process. The EXECs group enjoyed a fantastic back-end tour of the Gaylord Rockies Resort and Convention Center. 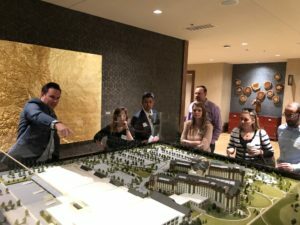 The group learned about the convention business, the Gaylord business model, as well as the technology and engineering involved in keeping a large facility operating. The post tour panel included enlightening discussion about the Gaylord brand, economic development in Aurora, and Colorado Tourism. The session is in! The EXECs program made the short walk to the Capitol building for the March tour. The group took time to observe legislators in action from the House of Representatives Gallery. The group commented on their observations of the house dynamics, how the legislators interacted, and the manner in which they conducted business. Additionally, the EXECs hiked the 94 steps to the Capitol’s dome to take in the beautiful mountain view and learned about the construction of Capitol building on a guided tour of Mr. Brown’s attic. Immediately following the tour, the group met with Joe Rice of Lockheed Martin Space. Joe, drawing from his legislative and mayoral experiences, guided the group through the state government structure, discussed lobbying and how everyone must be cognizant of how they are representing their company, and encouraged all the EXECs to be engaged in the political process.